We love June here at Starbright Floral Design – not because of the weather changing (though that’s nice) and not because school’s out. 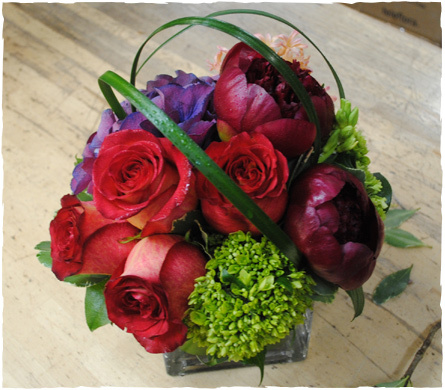 We love June because we get to celebrate one of New York’s favorite flowers – the Rose! June is National Rose Month and the rose is the state flower of New York – which makes it doubly important in our books. For the next few weeks we’re going to be shining a light on that thorniest of buds. Roses are found all around the world – there are over 100 different species. The first rose gardens were cultivated in China over 5,000 years ago. Ancient Rome used rose petals as confetti, and rose hips were among the first perfume ingredients. In 17th century Europe, roses were in such high demand that both the shrub and rosewater extract were commonly used as legal tender. In fact, many of the heritage rose gardens across Europe and on the island of Britain were founded as banks of a sort, a soil-based savings account. 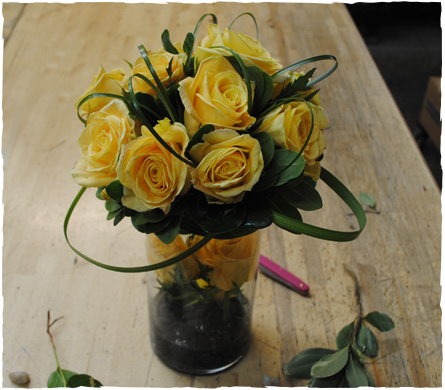 Check out some of the arrangements the shop put together to celebrate roses for this month. 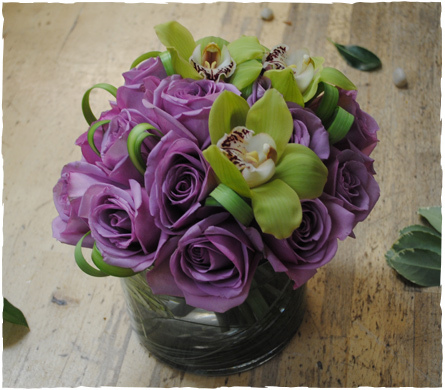 Thornless lavender roses say “I loved you at first sight”. These red and orange tinted flowers express warm admiration, interest, and excitement. 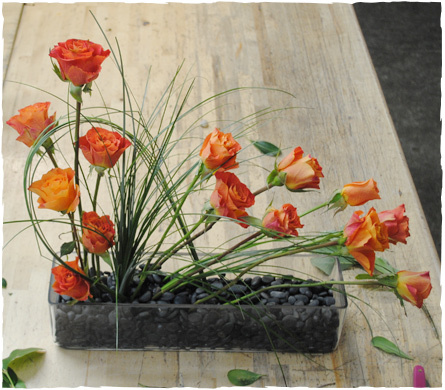 Orange roses express excitement and overwhelming emotions. The traditional color of friendship, these roses were designed to communicate a message of support.